The article title: for many, it’s the hardest part of writing an article. At some point in every writer’s life, there’s the struggle to create a quality article title. Creating a click-thru generating title takes even more creativity.The brutal reality in this world of short attention spans and information overload is that the headline is often more important than the actual article itself. Your title is a critical component of getting people to click that link and read your article. If the title of your article isn’t compelling, people won’t click on it or share it via social media, plain and simple. 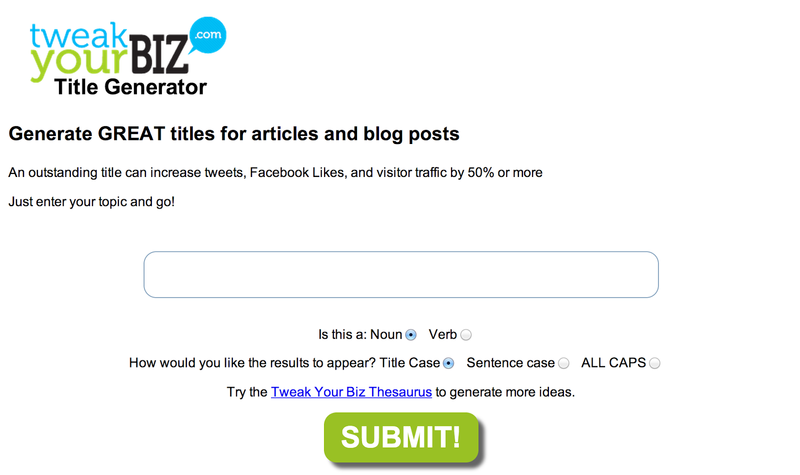 Below are six tools for creating titles and articles . Tweak Your Biz Title Generator is one of my favorites. It generates a wide variety of great titles you can choose from for your articles and blog posts. This tool even breaks down the ideas into categories like “How To”, “Motivation”, “Problems” and several others. 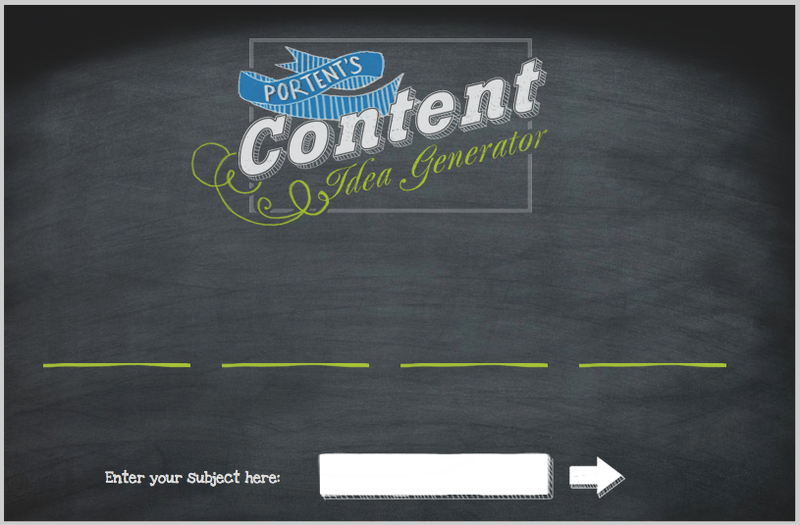 Portent’s Content Idea Generator is super easy to use. Type in your subject and you’ll see a unique idea for a post. You can even refresh the subject and it’ll generate a completely different title idea. 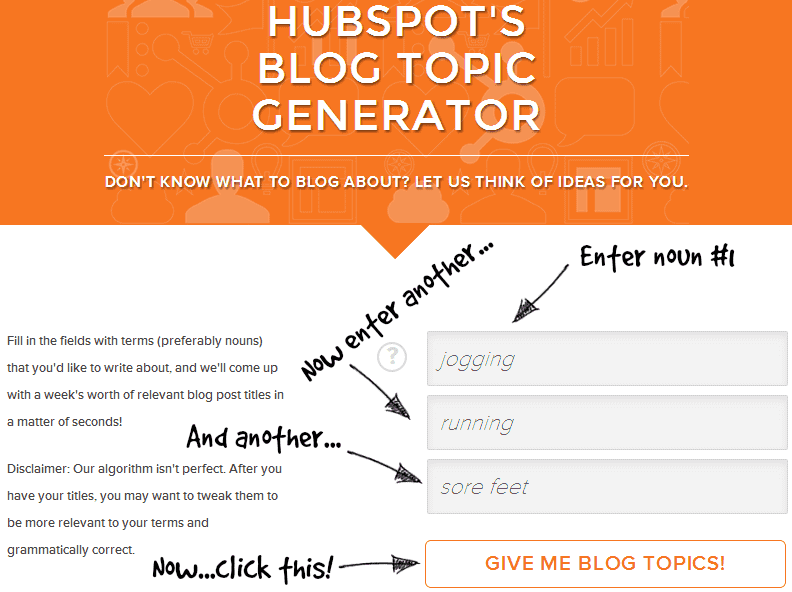 Inbound Now Blog Title Generator claims to generate “SEO friendly blog post titles and kill writer’s block”. 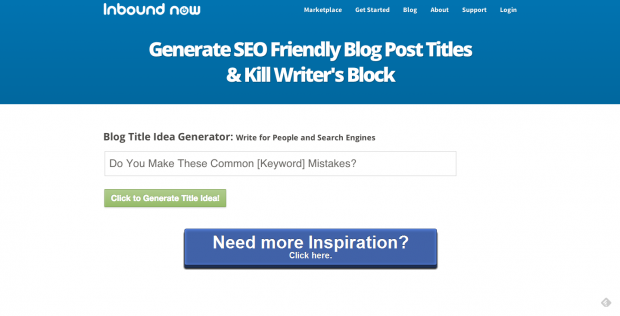 Hit the button marked “click to generate title idea” and the tool will provide you with hundreds of titles likely to inspire more than a few article ideas. Content Forest Generator doesn’t generate unique article ideas like the others, but based on the keyword you input, it’ll generate a list of titles that have already been created for that keyword. It’s a great way to see what’s been written around the topic you entered and potentially jump start an idea or two. Impact Blog Title Generator has an easy-to-use layout with a simple fill-in-the-blank way to brainstorm about title ideas for your blog. You will also be able to generate fresh ideas to write about. Conclusion: So what are you to do if you can’t write a great title or need ideas to help jump start the writing process? Don’t Worry. There are title generator sites that will get your creative juices flowing. With the help of these sites, you’ll never lack for traffic generating headlines for your articles.